With the reverence we pay to Android and the hardware it runs on, we have to say videos like this are never easy for us. From the folks that destroyed the HTC One M8 on video a few weeks back, now comes the Samsung Galaxy S5 drop/running-it-over-with-an-SUV test. Built largely out of plastic, Samsung has long been criticized for building devices with “cheap” plastic build quality. But could there be a method to their madness? 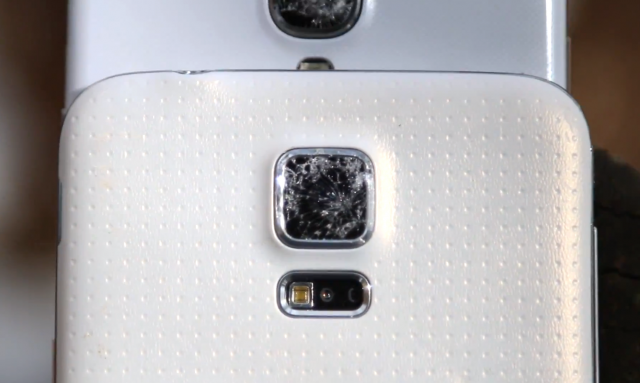 The folks at TechSmartt decided to do what most would never do willingly, putting the Samsung Galaxy S5 (and Galaxy S4) through a series of “drop tests,” just to see how well it’d fare. The outcome may surprise many of you. We should note, drop tests are nothing near scientific, and are more or less subject to random chance (depending on the angle the phone hits the ground). Still, it’s worth watching, if for nothing else than to see what happens when you run over the S5 with your mom’s Audi Q7. Video below.